The 16-core chip's first public appearance happened at Computex in Taipei. 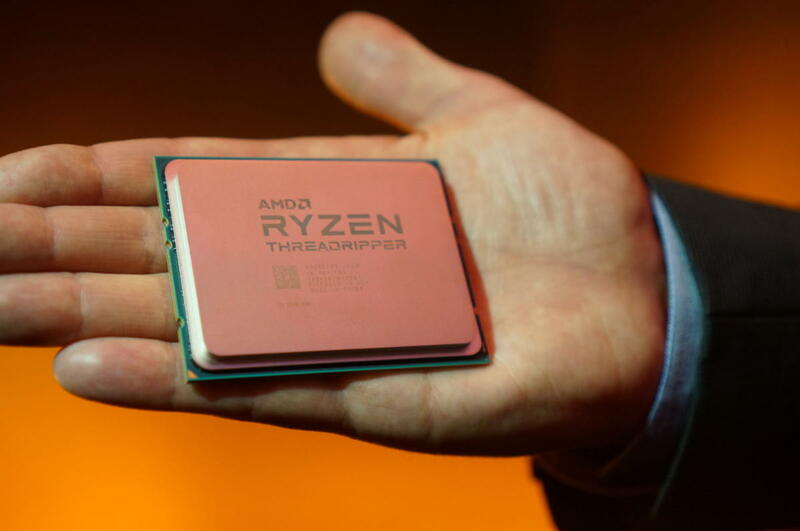 Threadripper stepped out in public for the first time at Computex in Taipei, where AMD ran its 16-core Ryzen-based desktop chip through various benchmarks and games. Even better for AMD fans: The company showed off the highly anticipated monster CPU running two of the company’s Radeon RX Vega in CrossFire mode. AMD also hit back at Intel after Tuesday's revelation of the Core i9. Sure, Intel's new high-end CPU will max out at 18 cores compared to Threadripper's 16. AMD's surprise: Threadripper would not have 44 PCIe lanes as previously rumored, but rather an insane 64 lanes of PCIe Gen 3.0. Having access to a full 64 lanes on all Threadripper chips is a big deal. Typical consumer platforms such as the Ryzen 7 and Core i7-7700K top out at 16 lanes of PCIe. Intel’s new Core i9/X299 platform hikes that up to 44 lanes of PCIe, but only in the higher-end chips, creating artificial limitations on more modest versions. AMD’s Ryzen Threadripper/X399 platform takes I/O to a level never seen before in a consumer desktop machine. Most consumers won’t need that kind of speed, but anyone who piles on the storage options and multiple GPUs will welcome AMD’s 64 PCIe lanes. 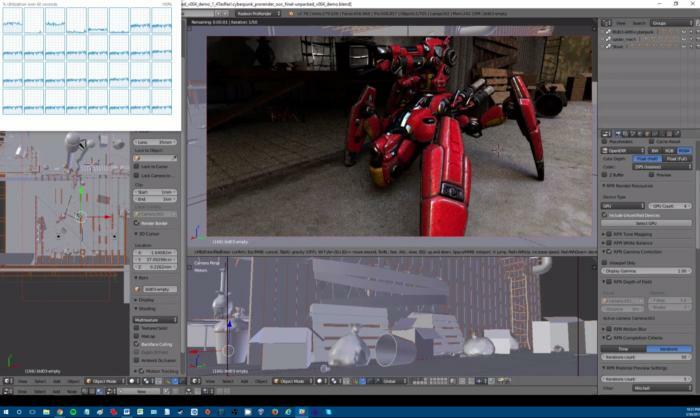 At Computex, AMD showed off Ryzen Threadripper running Blender alongside its upcoming Radeon Frontier Edition. 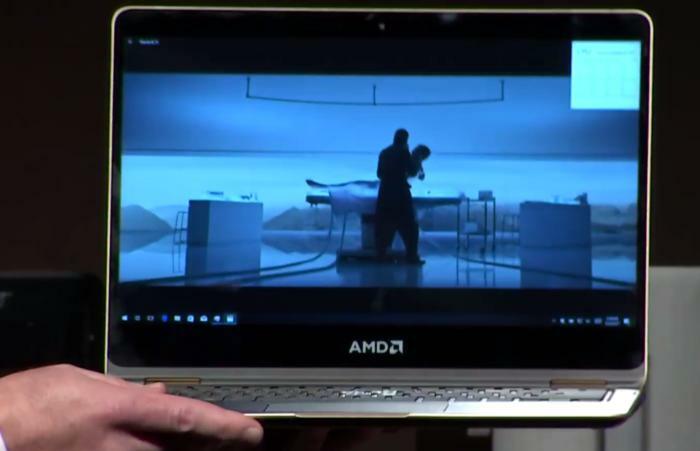 AMD officials also showed off the company’s upcoming Ryzen-based mobile chip in what looked like a reference convertible laptop. Officials said it would feature four cores alongside Radeon graphics in a single chip. This future laptop will feature AMD’s quad-core mobile Ryzen with Radeon graphics. What’s amazing is the contrast in scale between the monster Ryzen Threadripper and the mobile chip, code-named Raven Ridge. 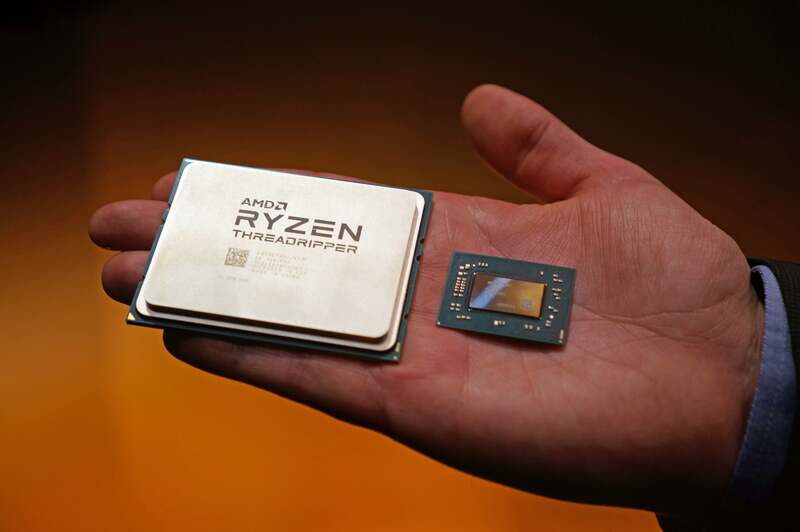 AMD’s 16-core Ryzen Threadripper (left) dwarfs the 4-core Ryzen mobile chip (right).